Dino Melaye certificate saga: Senate summons ABU VC to appear today – Royal Times of Nigeria. The Senate has summoned the Vice Chancellor of Ahmadu Bello University, Zaria, Professor Ibrahim Garba, to appear before it today and explain his side of the story regarding the certificate scandal allegation levelled against Senator Dino Melaye (APC, Kogi West), that he did not graduate from the institution. 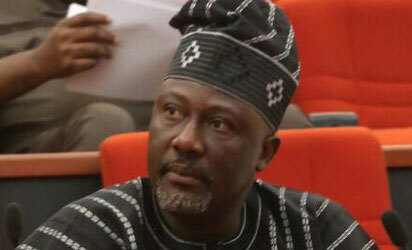 It could be recalled that online media platform SaharaReporters had reported that Dino Melaye did not graduate nor bagged certificate from Ahmadu Bello University, Zaria.